In addition to the balancing act of juggling an all-consuming music career and her family, TLC's Tionne has struggled with sickle-cell disease since she was a young girl?a debilitating and incurable disease that can render her unable to perform, walk, or even breathe. 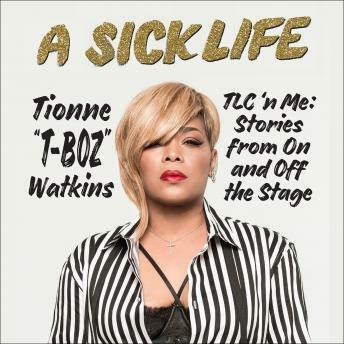 A Sick Life chronicles Tionne's journey from a childhood spent in and out of the hospital, told she wouldn't live to see 30 or have children, to becoming the superstar musician who is still living out her life's dream of performing. For the first time, Tionne will tell her full life story?the diagnosis, the tumultuous rise to fame, the life in the spotlight, and the hard-fought advocacy work. Through Tionne's tough, funny, tell-it-like-it-is voice, you'll see how the extraordinary singer and advocate found the inner strength, grit, and determination to live her dream?despite her often unpredictable and demanding health issues. She dives deep into never-before-told TLC stories, including accounts of her friendship with Lisa 'Left-Eye' Lopes and the tragedy of her death. Tionne's unvarnished discussion of her disease, unending strength, and ability to power through the odds is a story like no other.